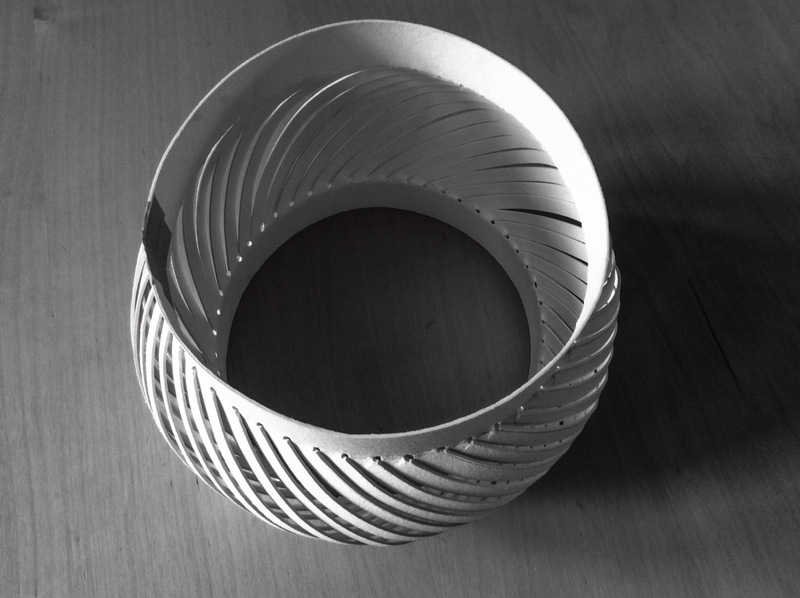 I have made this before in silver as a bangle and in steel as a sculpture. I wanted to see how it would turn out made from paper. 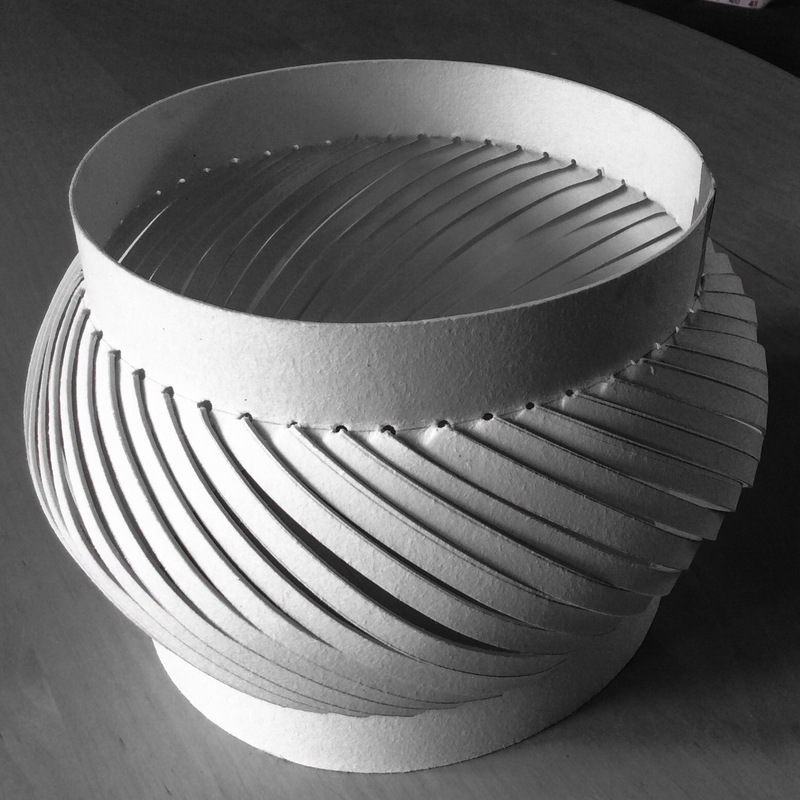 This was made from thin model-making card which is designed to be pliable when wet and then is fairly rigid when dry. I handled it too much so the surface has become rougher than I’d like. It’s about 20cms in diameter and 13 cms high. The card is easy to cut with a scalpel and the holes were made with a revolving hole punch. Once the cutting was done, the card was soaked in water and then manhandled until I could tape the ends together. 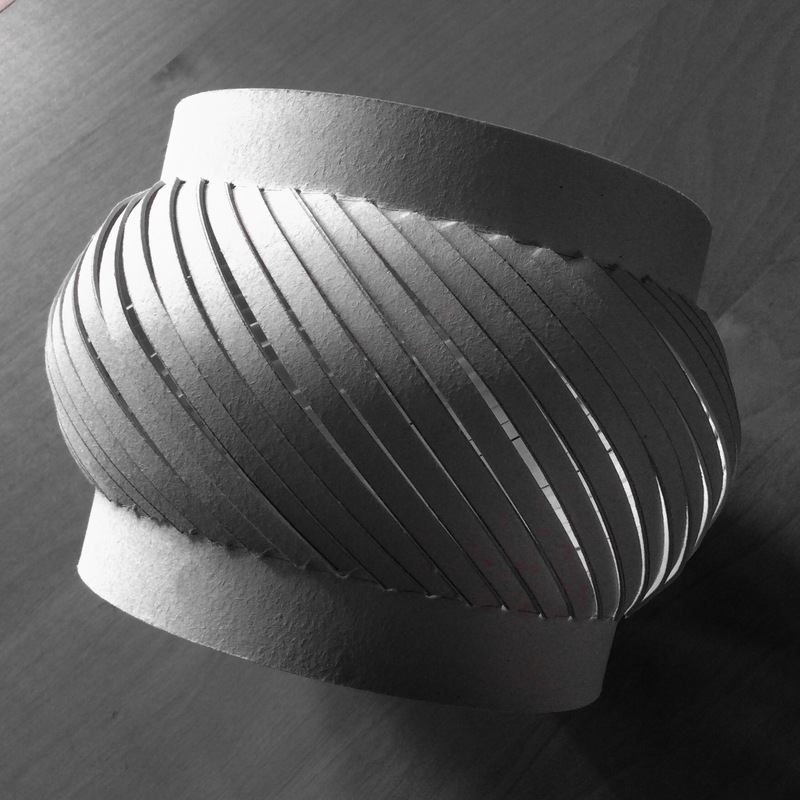 When that tape was dry enough to hold, I compressed the the top and bottom toward each other whilst gently pushing the strips to form the curve. I really like the way each strip begins to push out beyond its neighbour and tucks itself behind the previous one. In silver, which is more malleable and capable of being compressed and stretched without shearing, I was able to keep compressing the structure until the strips began to fold back on themselves. This fascinating to me! From the photos it seems it could be any size. The ring is around 2.5cm and the bangle about 8cm. Scale is a funny thing, without any extra information to measure it by things can look far bigger than we expect.